Porto Vita is an exclusive community of less than 400 select residences in Aventura, where an indulgent residential retreat is being created on the Intracoastal. 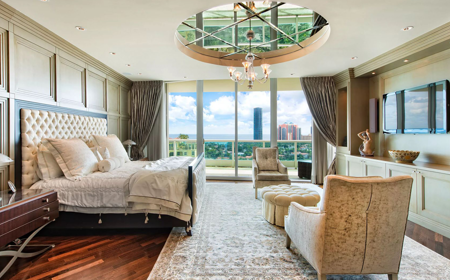 The community classic architecture, meticulous attention to detail and lush, artistic landscaping, coupled with an atmosphere of seclusion and serenity, have redefined the concept of luxury living and set Porto Vita a world apart from the rest of South Florida. In this classic private estate setting by the sea, timeless old world amenities include state-of-the-art security, private pools for each building and town home, a tennis center and a 21-slip marina. From the elegant, two-story grand lobby, access to the computer-programmed passenger elevators is restricted to resident key cards for maximum security. In addition, service elevators are set well apart from the residential areas and open directly into discreet service corridors. Constructed in 2000, the South Tower was the first of two high-rise luxury buildings to go up at Porto Vita. 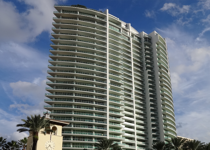 This 32-story tower at Porto Vita is home to only 152 luxury condominiums, allowing for a high-degree of privacy and spacious, open floorplans in every unit. The condominiums of the Porto Vita South Tower range from 2- to 5-bedrooms, and range in size from 2,387 Sq. Ft. to 4,684 Sq. Ft. Constructed in 2004, the North Tower is the final jewel in the Porto Vita luxury community. 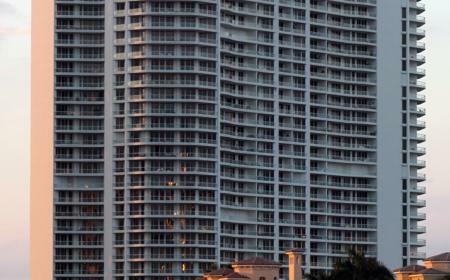 The 32-story tower with only 126 residences is set in the northwest corner of the grounds near the Porto Vita Grand Entry, and faces east to west over the Intracoastal Waterway and the golf courses of the Turnberry resort respectively. The condominiums of the Porto Vita North Tower range from 2- to 5-bedrooms, and range in size from 2,476 Sq. Ft. to 6,563 Sq. 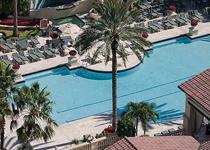 Ft.
Residences feature floor-to-ceiling sliding glass doors and expansive balconies. The balconies are accessible from the living room and bedrooms. You will be able to enjoy mesmerizing views of either the Intracoastal, the ocean or the manicured landscaping of Turnberry Isle Resort & Golf Club. The kitchens are simply stunning and feature state-of-the-art Gaggenau appliances, granite countertops and Italian cherry wood cabinets. 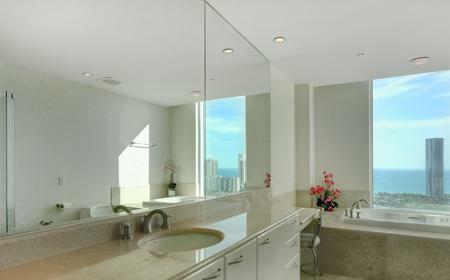 Separate his and her master bathrooms offer marble floors and Snaidero vanity cabinets. All of the luxury condominiums feature floor-to-ceiling sliding glass doors with “evergreen” glass tempered and tinted for maximum energy efficiency. Residences also feature expansive, glass-paneled balconies that are accessible from the living room and all the bedrooms in the unit. 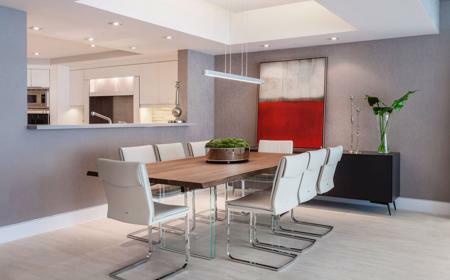 The kitchens of these condominiums feature state-of-the-art Gaggenau appliances, under counter task lighting, black granite countertops, and Italian cherry wood cabinets. The master suite offers separate His and Hers master bathrooms, with a marble top Jacuzzi whirlpool in Hers and a steam shower in His. All bathrooms come complete with Chiampo marble flooring and Snaidero vanity cabinets. The separate laundry area in each of the condominiums includes super-capacity Maytag appliances, overhead cabinets, and a white molded laundry sink.